Hi! So the other night I was so excited I just had to tell everyone that I took a photo of a UFO. Now, I’m finally getting the chance to report it (I have another to report as well from the night or two after this one). What I did was blew it up 400%, then also left it at the size which it was took along with the camera data, focal length etc. I would LOVE TO KNOW if this is an actual UFO or something else. Maybe someone out there familiar with lots of craft could verify if this is an actual craft? 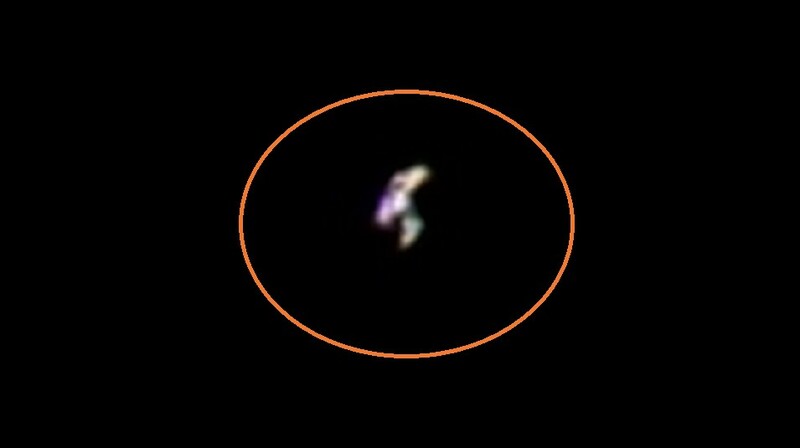 I don’t see how it couldn’t be where in the un-zoomed photo, it is definitely not a star, a satellite (I checked & it’s not the space station) etc. Which leads me to believe it is an actual craft. Since that night (which was my first night taking photos of the sky with the specific goal of shooting UFO’s & to be honest I really wasn’t expecting to get anything with a 300mm lens) & since that night I have gone out every night since (took this photo on the 1st, today is the 3rd) & have actually gotten other photos of suspicious objects as well. I would also like to say, I did not alter these ONE BIT, other than zooming the one & cropping the other. I am not trying to pull a hoax, I simply want the truth. I personally can’t wait for the day when we get full disclosure, until then I keep hoping. Anyways, if you KNOW (as in KNOW 100% KNOW), please let us all know. I am very interested in finding out.